Hi! Thank you for visiting Kiddie Matters! 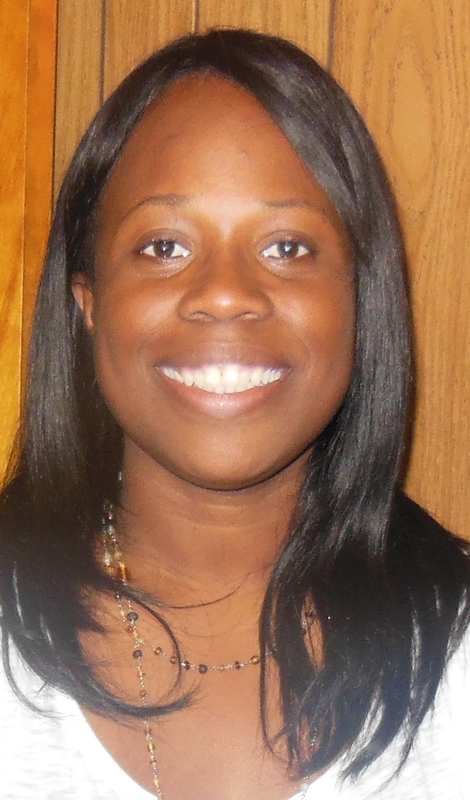 My name is Yanique (Yah-Neek) Chambers, and I am a Licensed Clinical Social Worker. Additionally, I’m a Certified New York State School Social Worker and I have a Master’s Degree in Criminal Justice. (In other words, I have a ton of student loan debt). I have over ten years of experience working with children both in the school and foster care systems. Currently, I am a stay at home mom to three lovely children and den leader to a dedicated group of Tiger Cubs. The goal at Kiddie Matters is to share creative ways to help children learn valuable social and emotional skills that will help them be successful in all areas of their lives. My desire to help children become their best selves stems from my own childhood experiences. My childhood was dysfunctional and riddled with emotional abuse. I had a roof over my head and three square meals. What I didn’t have, were parents who valued me or validated my feelings. My mom struggled with depression and most times could barely meet her own emotional needs much less that of her children. My parents parented the way they were parented. This meant that when I misbehaved as a child, they wouldn’t talk to me for months. When I was roughly 15 or 16, as punishment, my mother didn’t speak to me for nearly nine months. Her bedroom was directly across from mine. I was belittled at every turn and nothing I did was ever good enough. I was bullied at school, but didn’t tell anyone. I figured no one would care. I couldn’t understand why my family was so different from my friends’ families. I tried desperately for my parents to accept me and tell me that they loved me. It never happened. I decided that it must be because I was bad. I just wasn’t good enough. Why else would my father abandon me and my mother be so cruel? For years this negative belief of not being good enough caused me to struggle with low self-esteem, depression, and anxiety. I left childhood feeling battered and bruised. I also had a burning desire to prevent any child from feeling the way I did. I wanted children to know their worth. I wanted every child to know, that no matter what, they matter. I quickly fell into social science when I went off to college and graduated with a Bachelors degree in psychology. It was then that I learned about ways to nurture children’s self-esteem and the importance of teaching them social and emotional skills. I decided to pursue a career in social work because I wanted to work with at-risk kids with similar childhood experiences. I felt I could convince them that there was a better way. They didn’t have to let their past dictate their future. I wanted them to believe that their lives could be drastically different if they had the social and emotional tools to manage their feelings and behaviors, to set goals for themselves, to believe in their worth, and to make good decisions. Once I became a parent, I became even more hyper-focused in finding ways to teach kids social and emotional skills. I wanted to give my kids a better childhood experience than I had. Some days I fell short. Waaay short. I yelled, lost my cool, and got easily frustrated when my kids were just being kids. I started to feel inadequate as a mother. I felt like a hypocrite counseling other parents on how to utilize positive parenting strategies. I was having epic toddler-like meltdowns and yelling at my own kids. Who was I to counsel them!? So no, I haven’t got this whole thing figured out. That’s why I launched Kiddie Matters. It was important for me to be constantly learning how to be a better parent and a better advocate for kids who needed someone to be their voice. Writing allows me to stay on top of the current research and the best practices when it comes to teaching kids social and emotional skills. I wanted to make sure I didn’t drop the ball when it came to nurturing my own children. I want them to be able to identify their feelings and feel safe in expressing whatever they are feeling. It’s important to me that my children are confident enough in themselves that they reach for the stars and are able to pick themselves up and try again if they fall short. I know I can’t give them a pain free life, but I sure can arm them with the necessary tools to handle any obstacles they face in life. 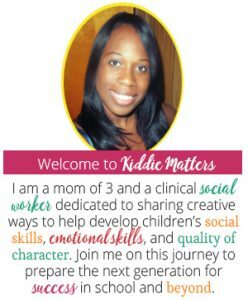 Sharing social emotional learning resources I’ve found to be helpful on Kiddie Matters, allows me to help other parents and counseling professionals meet the social and emotional needs of the children in their lives. I hope you stick around on this journey with me. Our children really are the future and they are well worth our investment. I appreciate you stopping by and hope you continue to come back! This website and its contents are designed for educational purposes only. This website does not render medical advice or professional services. It is not intended as, and it is not a substitute for professional help. If you are in need of advice or referral for mental health services, please consult your health care provider.